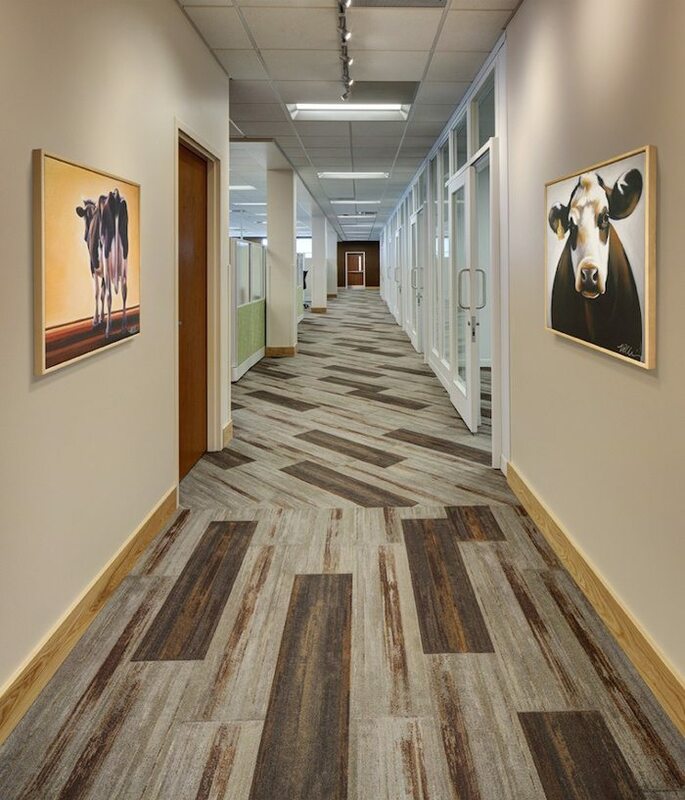 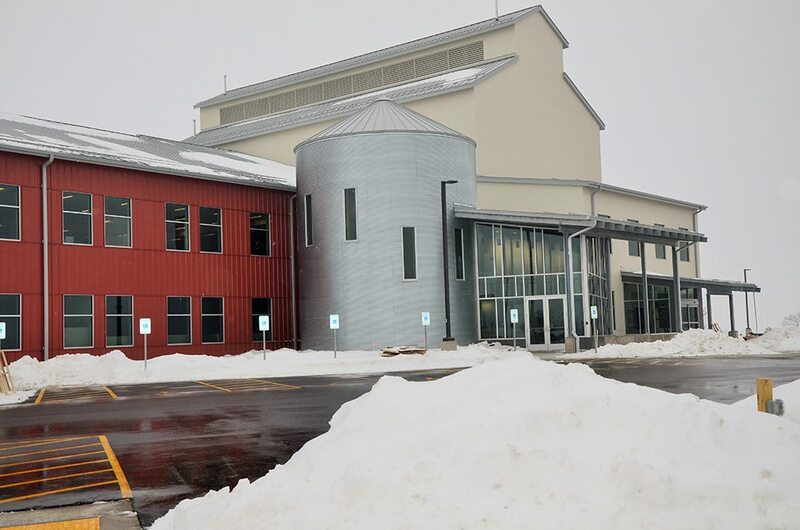 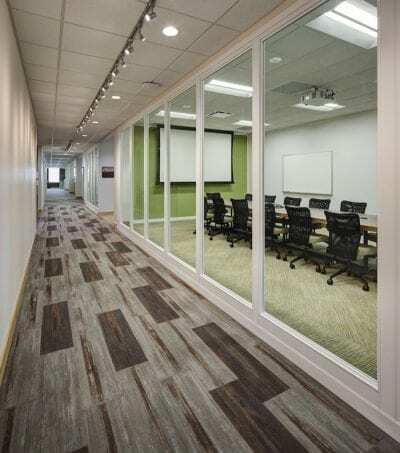 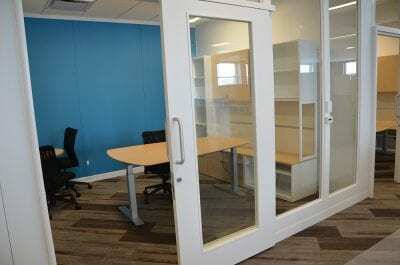 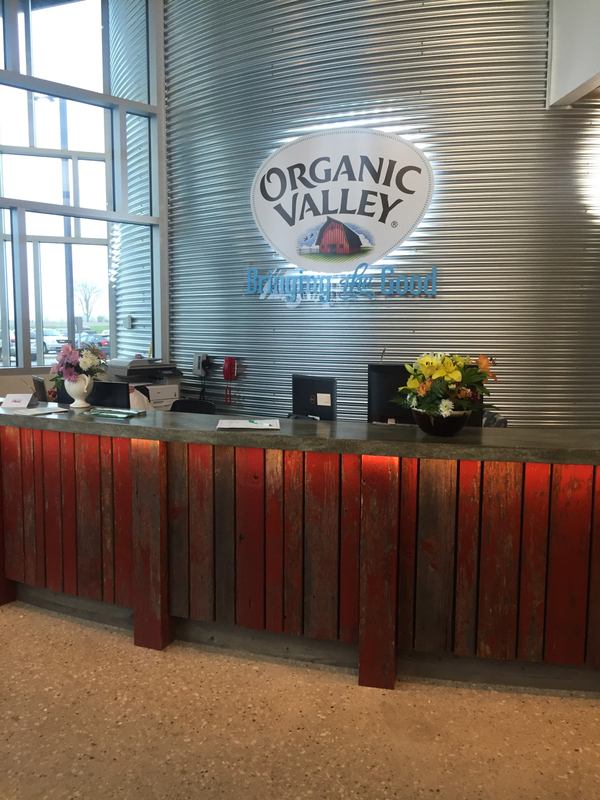 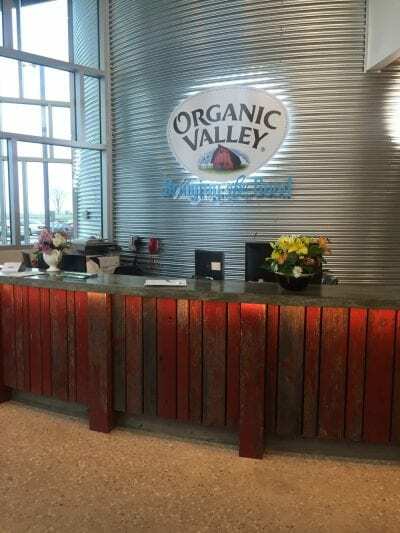 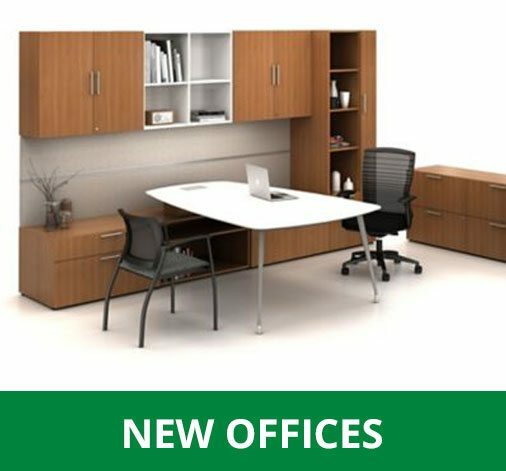 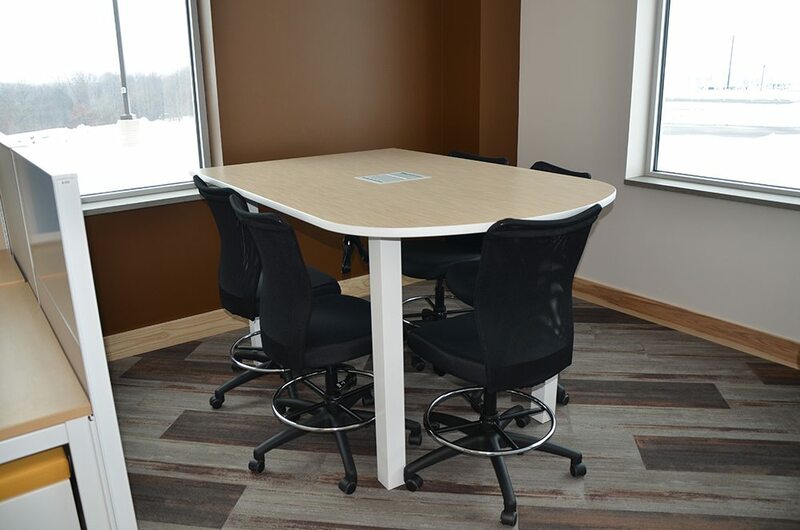 Organic Valley needed to consolidate offices resulting in their new 25 million dollar facility in Cashton, WI. 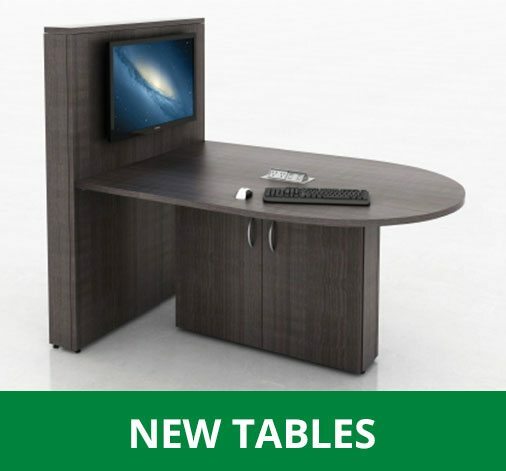 AOI came to the table as a leading AIS dealer in the area and quickly was awarded the contract after a two month bidding process with several local dealers and the incumbent dealer. 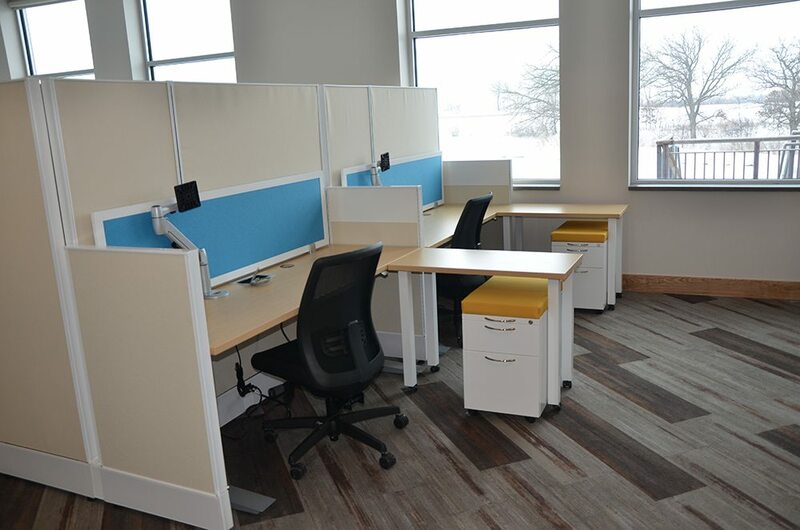 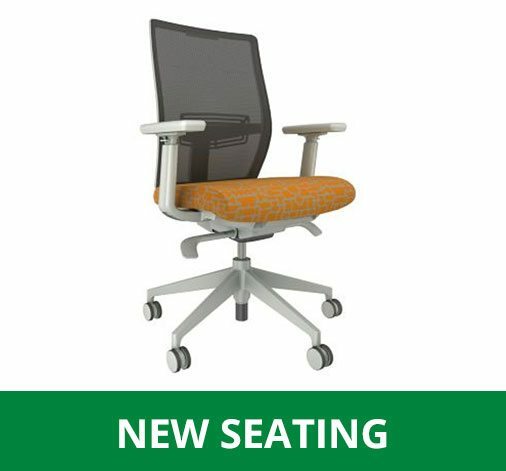 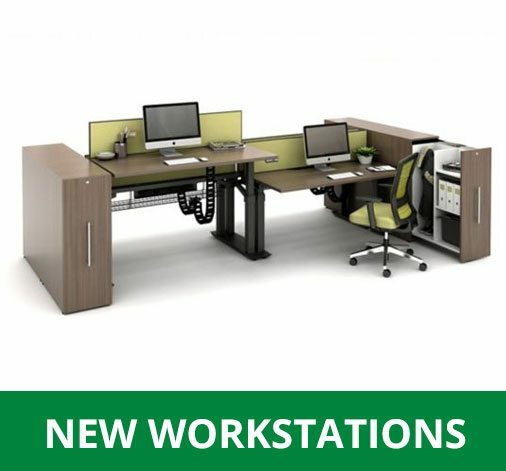 AOI had two months to design, plan, propose, and order the 310 workstations, 35 private offices, and several conference rooms, seating and break out areas. 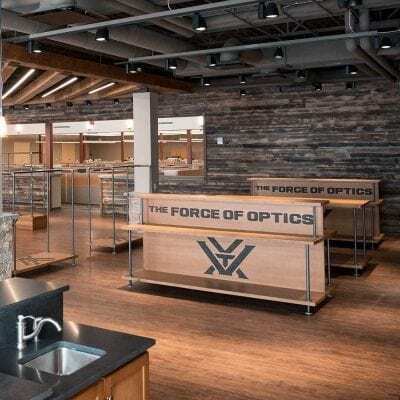 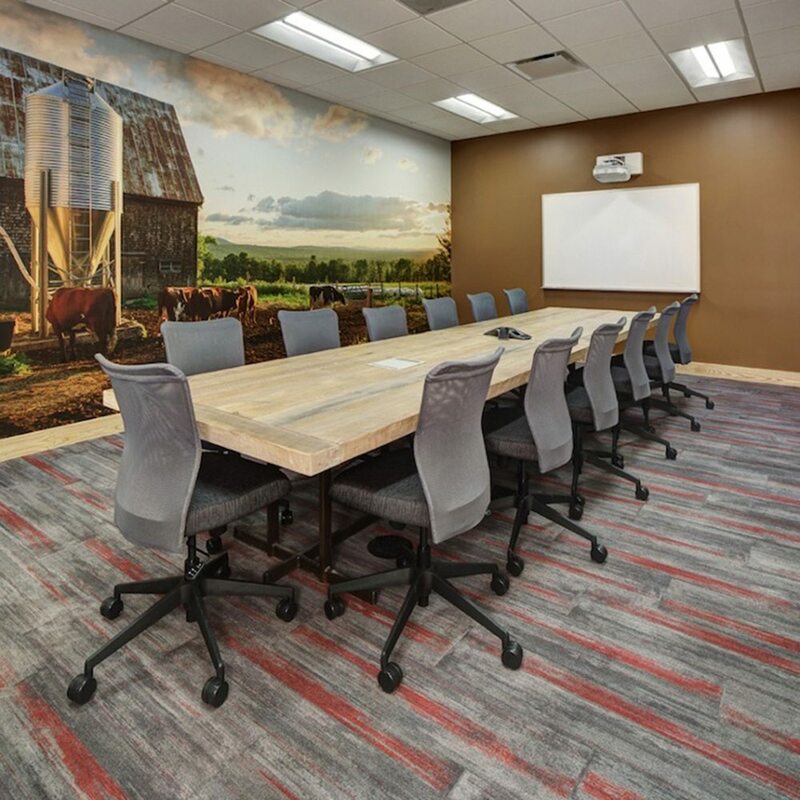 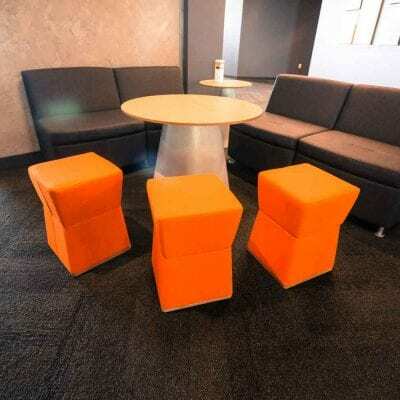 Primarily an AIS installation, there was also various other furniture manufacturers and additionally featuring a Wisconsin reclaimed wood manufacturer who tore down an old Organic Valley barn for the wood to build their conference tables. 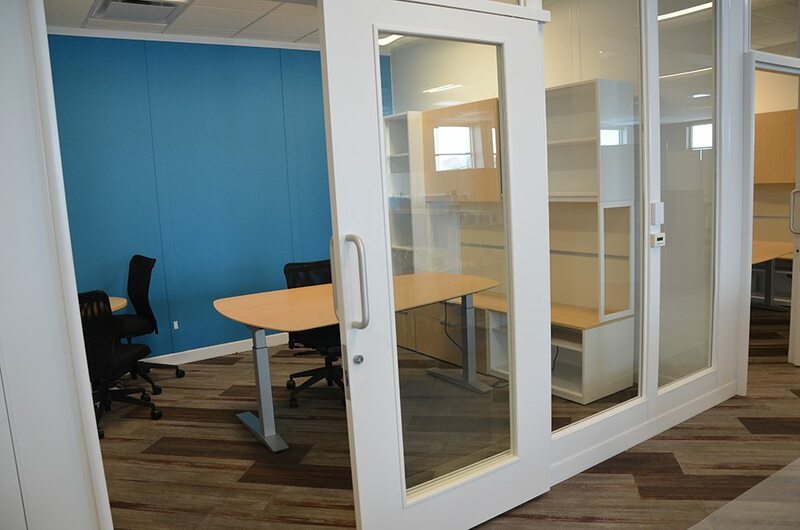 AOI installed this project in two months and completed the punch list with a happy client. Hand painted cow murals, a deconstructed tractor hanging in the main circular staircase housed in a large grain silo, and custom carpet tiles adorned with a fake milk spill, help to make this facility unique, vibrant, and an incredibly exciting!